The Sea to Sea (C2C) cycle route stretches 140 miles from the Irish Sea at Whitehaven on the English West Coast to the North Sea at Sunderland or Newcastle on the North East Coast of England. Considered one of the most challenging cycle routes in the UK, the trail passes through the stunning countryside and dramatic peaks of the Northern Lake District before climbing the Pennines, known as the Roof of England, into Northumberland. Just over a third of the route is traffic free. This route includes Black Hill, the highest point on the National Cycle Network at 609m. Northumberland was predominantly coal mining country, so the path descends along the County Durham railway paths and the Consett to Sunderland railway path and sculpture trail. There are various options for Road and mountain bike and The C2CPackhorse.co.uk has some very helpful information on these. 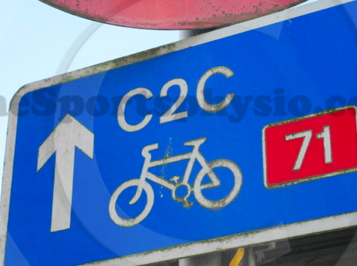 The Sport & Performing arts clinic is situated about half way along the C2C cycle route and being situated just off the A69 at Warwick Bridge, is a handy place to stop off and sort out those aching muscles and strains. We currently do not offer the services of any HPC registered physiotherapists or physical therapists.